Victim Participation at the ICC – What’s the Deal? Today, at the Assembly of States Parties conference in The Hague, the issue of victim’s participation will take centre stage. We’re thus thrilled to have regular JiC contributor Chris Tenove join JiC today to share his remarkable research and analysis on the politics and realities of victim participation at the International Criminal Court. Chris is a doctoral candidate at the University of British Columbia. You can read more of Chris’ work here and here. Enjoy! While the relationship between the International Criminal Court (ICC) and African states looms large over the current meeting of the Assembly of States Parties (ASP), victims’ issues will also receive a great deal of attention. Victims and affected communities will be the focus of a plenary discussion today and side-events will tackle victims’ legal participation, the external review of the Trust Fund for Victims, and justice for victims in Kenya. ASP members and civil society groups want the ICC to improve its policies on victims’ matters such as participation, reparations and engagement with affected communities. Academics, too, have been weighing in. In this post I will mention a few of the issues raised in recent publications, focusing on concerns about victim participation. Academics and civil society organizations tend to want more extensive participation, which will likely require more resources. However, several legal officers from ASP member states have in recent months told me that their governments see victim participation as a money pit, capable of costing much and adding little to the Court’s core functions. To address these various concerns we need better assessments of the impact of victim participation. The Rome Statute grants victims the right to be legal participants and not just witnesses for the prosecution or defense. While this opportunity exists in many civil law systems, it was not a part of the post-WW2 or ad hoc international criminal tribunals. Individuals apply by filling out a form that is reviewed by ICC staff and judges. Those who are accepted are put into groups – sometimes by their geographical area, sometimes by the crime they suffered – and assigned a lawyer who is paid by the Court. For instance, 129 victims were accepted as participants in the Lubanga trial and put in three groups, while over 5,000 victims have been accepted during the course of the Bemba trial and put in two groups. Victims’ lawyers can make opening and closing statements, question witnesses, invite victims themselves to give testimony, or participate in other ways, all according to the discretion of judges. The ICC’s approach is an experiment or, more accurately, a series of experiments. Different trial chambers have conducted victim participation in different ways, and the Registry has shifted its own policies over time and across situations. Emily Haslam and Rod Edmunds explore in detail the different approaches that trial chambers have taken to grouping victims and assigning counsel. This practice of “common legal representation” is undoubtedly necessary, given the large numbers of victims and the inability for most to retain their own lawyers. But placing large numbers of victims in just a few groups can cause their different interests to be ignored, and individuals in large groups may have few opportunities to communicate with their representatives. Haslam and Edwards argue that the process may make the common legal representatives accountable to the judges and Registry rather than their ostensible clients, the victims. The authors fear that current developments will lead to victim participation that is “more symbolic than real”. Sara Kendall and Sarah Nouwen make a similar argument in their philosophically-rich paper “Representational Practices at the International Criminal Court: The Gap between Juridified and Abstract Victimhood”. They argue that ICC staff and supporters invoke a generalized, de-politicized representation of victims to justify their actions. This rhetorical construct, “The Victims,” is used to buttress the Court’s authority. (Peter Dixon and I make a different but complementary argument about the importance of victims to the ICC’s authority in a recent paper.) While the ICC is portrayed as a court for “The Victims,” Kendall and Nouwen point out that vanishingly few victims get a chance to participate. Many victims in situation countries are ineligible to participate, since that opportunity is restricted to those affected by the specific crimes brought forward by the Office of the Prosecutor (OTP). Of those granted participant status, only a handful appear in trial proceedings. Kendall and Nouwen thus argue that, in practice, victim participation is narrow, limited, and offers little opportunity for agency. Neither paper examines the impact that victim participation has on judicial processes. Mariana Pena and Gaelle Carayon begin to do so in their recent paper, “Is the ICC Making the Most of Victim Participation?” They note that victim participation can contribute to truth-finding in trials and give examples in which victims’ representatives added facts and legal arguments that had been left out by the prosecution and defense, either due to error or their focus on the guilt or innocence of the accused. But the authors see obstacles to meaningful participation, including the application process and the fact that victims have little input into OTP’s selection of crimes to be prosecuted. Pena and Carayon are particularly concerned that common legal representatives do not have sufficient opportunity to consult with victims and make arguments on their behalf. Unlike Kendall and Nouwen, who contrast participation and representation, they see representation as participation provided it is done well. Similar arguments were made in a recent report by an independent panel of experts, facilitated by REDRESS and Amnesty International to evaluate the ICC’s approach to victim participation. Like Pena and Carayon, the panel proposed that the application process be streamlined and that the OTP expand its discussions with victims during preliminary examinations and better justify their selection of charges. To make representation meaningful rather than merely symbolic, they proposed that victims need more information about their right to participate, and more opportunity to be regularly consulted by their legal representatives. Being recognized as a “victim” is important, focus groups participants said. Most defined themselves as victims and did not consider the term disempowering (although a few did). The designation entails the recognition that a person suffered an injustice and deserves redress. The ICC’s selection about who counts as a victim therefore matters greatly. Discussants were keenly interested in material reparations for victims like themselves. Over the course of discussions, however, they identified categories that should be prioritized, including those who were orphaned, handicapped, or had lost family breadwinners. Discussants generally supported the ICC’s pursuit of accountability, due to the inability of their domestic judicial systems to fairly and effectively bring powerful individuals to account. Many were disappointed at what they saw as deficits in the Court’s own impartiality and effectiveness. While discussants agreed that victims’ views and experiences should be heard in trials, they saw this happening in different ways. Some wanted to tell their story in the courtroom in order to prove that crimes happened or to have their personal suffering acknowledged. Others preferred to be represented by community leaders or expert legal representatives. Many victims I spoke to had already been questioned by civil society groups or state agencies about their experiences. Few had seen tangible results. More problematically, few had heard how their views were summarized and presented. Some felt that their narratives of suffering were a resource for empowered outsiders. I make two observations about determining and representing “victims’ perspectives.” First, focus group participants often lacked sufficient information to evaluate the work of the ICC. Participants’ positions would frequently shift during the course of discussions, as better-informed participants contributed information or made compelling arguments. An opinion poll would have registered people’s initial views, without the benefit (or bias) of more information or discussion. I would likely have heard still different views had I conducted repeated, private interviews with individuals. Various consultation approaches are needed due to their different strengths and weaknesses, and no representation should be treated as sufficient or final. Second, the representation of victims is better seen as a relationship rather than a snapshot. By consulting and communicating with victims over time, representatives can better understand victims’ evolving views, and victims can better understand the opportunities and limits of international criminal justice processes. Despite these and other publications to date, we still lack in-depth assessments of the impact of victim participation in different cases, with their different judicial approaches and situation country contexts. What we need, I propose, is research that assesses the impact of participation on judicial processes, including the judgments and the discourse or performance of the trial. We also need research on the impact of participation on victims themselves, including their sense of recognition and agency, their understanding of the Court’s work, and their relationships Court staff, their lawyers and other participants. (Stover et al have published such research on the first trial at the Extraordinary Chamber in the Courts of Cambodia.) This research would require significant access to ICC staff, victims’ lawyers and victim participants, as well as analysis of trial records and other documents. Moreover, we need several cases to be completed in order to analyze final judgments and for participants to be able to speak without compromising legal processes. 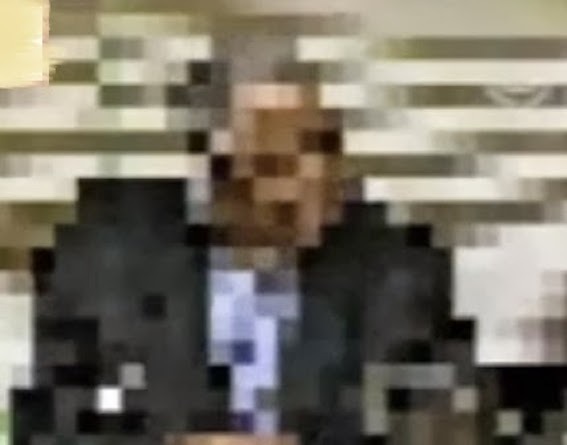 This post focused on concerns about victim participation at the ICC. I would like to add a few points to balance the picture. First, my focus groups in Kenya and Uganda clearly expressed a desire for victims’ interests and perspectives to heard at the ICC, and that these perspectives go beyond the proof of guilt or innocence of the accused. Not only is participation part of the ICC’s legal basis, it is what many victims want. Second, victim participation, along with the extensive involvement of civil society, has helped create an institutional culture at the ICC that treats victims as legitimate stakeholders in its processes. Third, in Kenya, the common legal representatives have helped to maintain some attention on victims of post-election violence, when media and politicians have tended to emphasize the politics of the ICC cases and the “plight” of the accused. Finally, I think the diversity of approaches that ICC judges and staff have taken to victim participation has been a necessary experimentation, and there have been positive developments. Modalities of participation are clearer. The application forms for victims have been made simpler. The Victim Participation and Reparations Section has become better at assisting the selection and work of common legal representatives. There is clearly a desire at the ICC to continue to improve victim participation, and I think independent researchers can help. 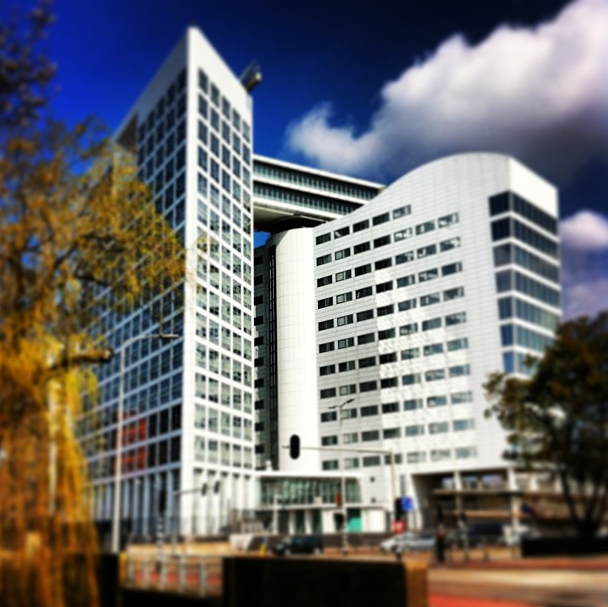 4 Responses to Victim Participation at the ICC – What’s the Deal?